The Women's Voluntary Service came into existence in the UK in June 1938 as part of war preparations. The first organiser was Lady Reading who had been asked by the UK government to set up an organisation for women that would work with the ARP (Air Raid Precautions). Their work during the war was invaluable, and in all spheres: support for the troops, organisation of the evacuation of children, soup kitchens and canteens, distribution of clothing for refugees, help for evacuees and for those who had lost all in the bombings. The WVS members were known as the ‘Ladies in Green’ owing to their distinctive uniforms. For further information see the WRVS Archive Section. 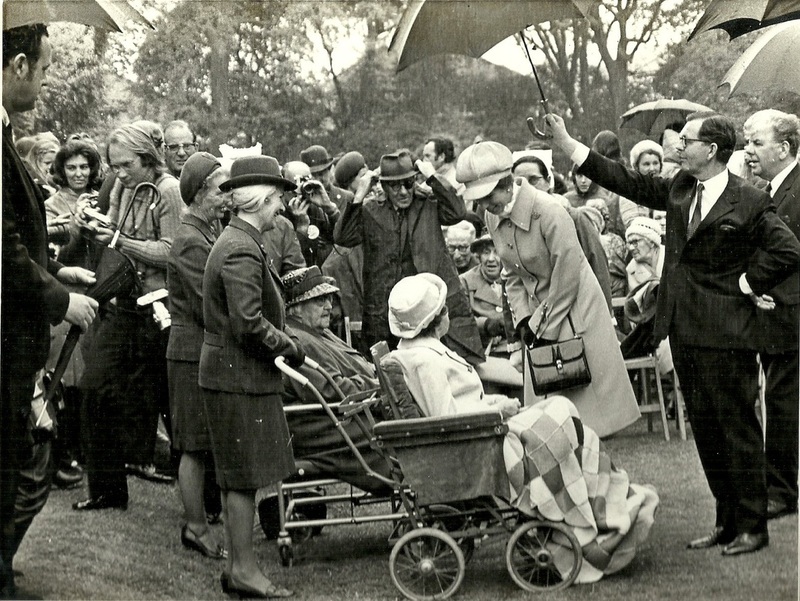 In 1966 in recognition of the service that the WVS and its volunteers had given to their country it was granted the honour of adding ‘Royal’ to the title by Her Majesty the Queen and so became the Women’s Royal Voluntary Service. 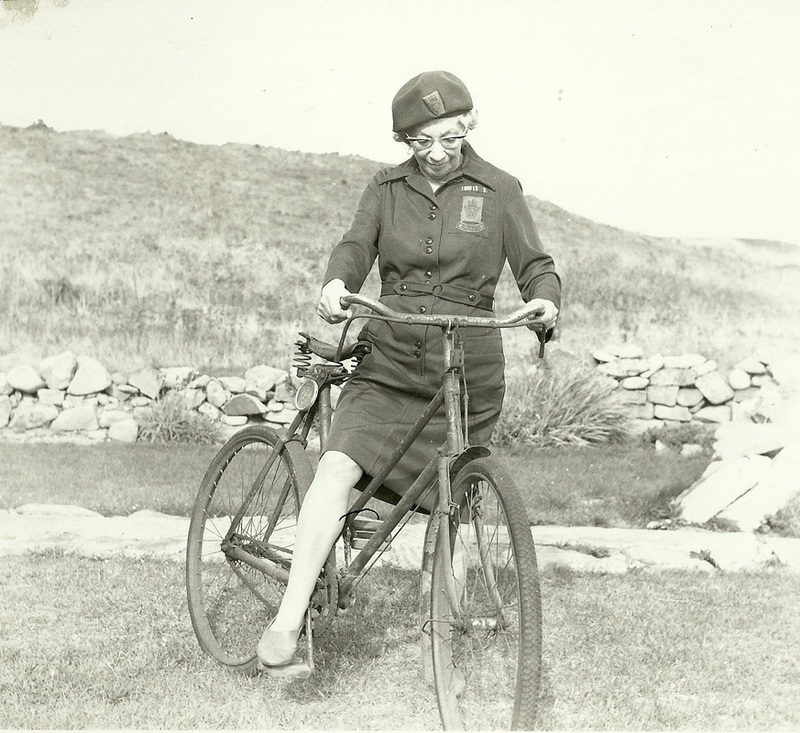 A branch of the WVS was formed in Guernsey in 1949 with a membership of 6 under the leadership of Miss Doreen Smith-Ainsley. Right from inception it was recognised that the local branch should respond to needs of the island. The initial philosophy was to give practical support to isolated and lonely people, to assist them to maintain their independence and to help them remain in their own homes -particularly in later life. During the first few years the main activities were the Darby and Joan Clubs - one in every parish, the rest tents at the Agricultural Shows and meeting the lifeboat with refreshments after every call out. The scope of the work soon took in other areas of island life and membership gradually increased. In 1960 the Meals on Wheels service was launched, growing in size over the years and in 2013 over 30,000 meals were delivered in Guernsey alone using four dedicated vehicles based at the Princess Elizabeth Hospital. Alderney’s involvement with the WVS began in 1946 soon after the islanders returned after the Second World War. 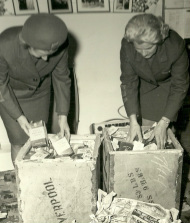 Two ladies from the WVS in London assisted the local people by working in the Food Office and helping with the distribution of clothing. A local branch of the WVS linked with Guernsey was set up in 1951. The longest serving local organiser on Alderney was Pat Hart MBE. WVS Alderney became an independent branch of the WVS in 1957 and the following year permission was granted by the States for the use of a room at the police station in St Annes as the WVS Centre. The Alderney WRVS was awarded the Queens Jubilee Award in 2003 and the medal is on display in the Alderney Museum. In Guernsey in October 1977 2 Newington Place, Grandes Maisons Road was purchased and named Jubilee House, a name chosen by the members. It acted as a centre for the organisation and a day centre for the elderly. Then in 1993, after significant fundraising, the purpose built Jubilee Day Centre was built in Grandes Maisons Road, St Sampson. The Guernsey Voluntary Service, otherwise known as the GVS was launched as a charity independent of the WRVS in 2011, the Alderney branch was also incorporated into this re-organisation. No changes were made to the services provided and there has been a great deal of positive feedback regarding the new name and branding. It is felt that the change has had a positive effect in attracting more volunteers- particularly men. There are currently about 500 active volunteers on the islands.